When you purchase a Belle Kitchen Macaron you are purchasing the best gourmet French macaron available. 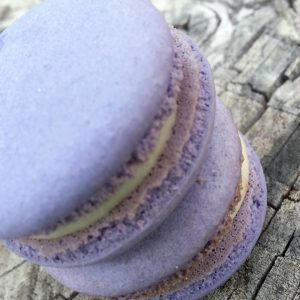 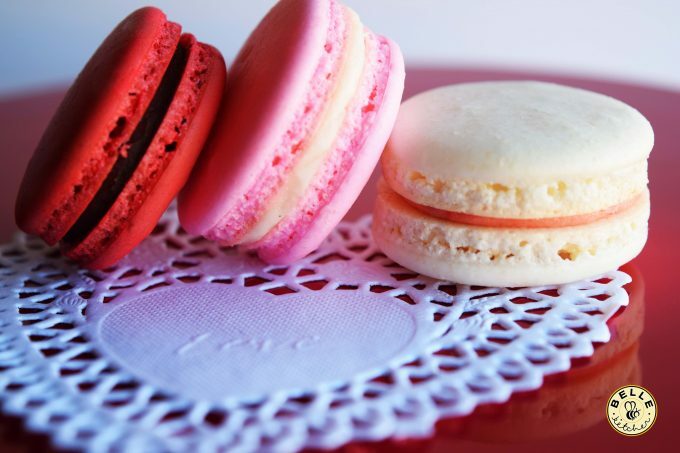 Our macarons are some of the best on the country and were recently featured on the Cooking Channel. 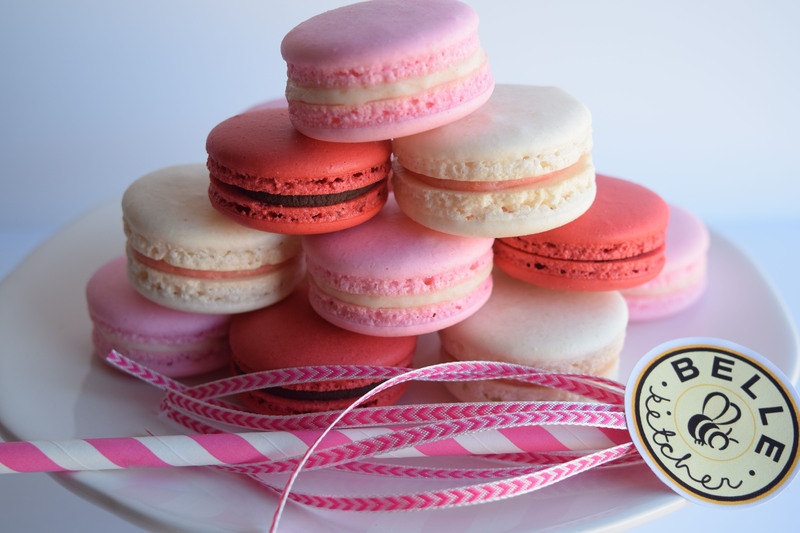 We bake with only the best ingredients for a naturally gluten free Macaron. 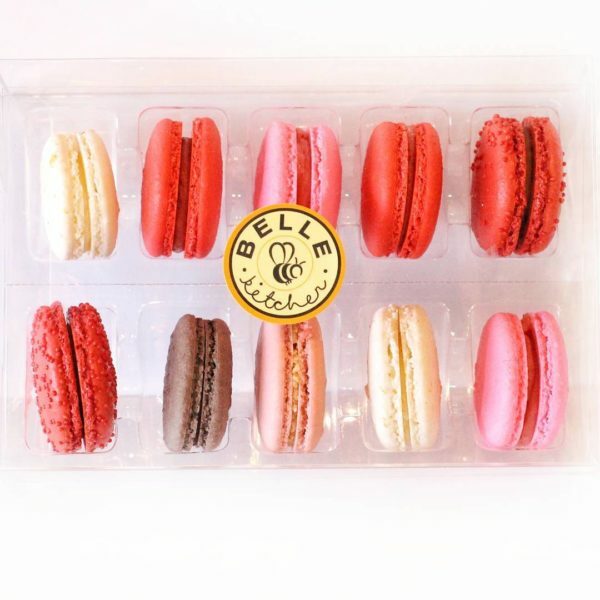 Belle Macarons has produced over 300,000 Macarons! Each Macaron takes about 48 hours to produce in our state of the art kitchen. 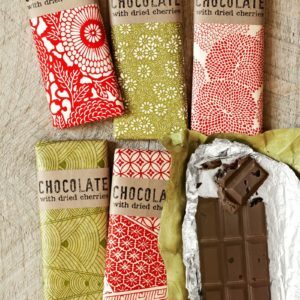 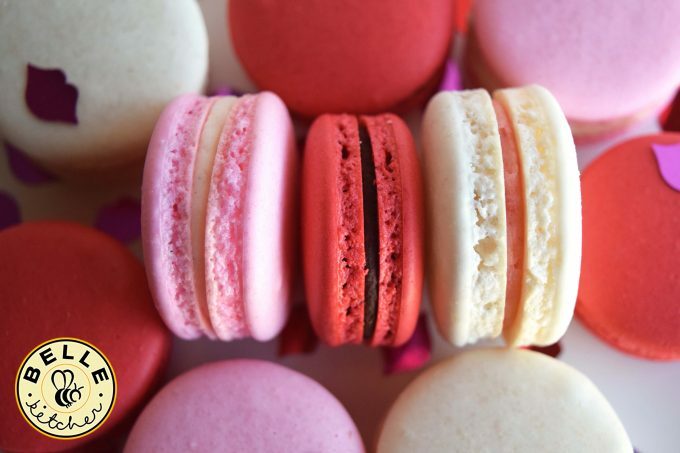 We are constantly creating new flavors and shapes – for the seasons, holidays and just for fun! 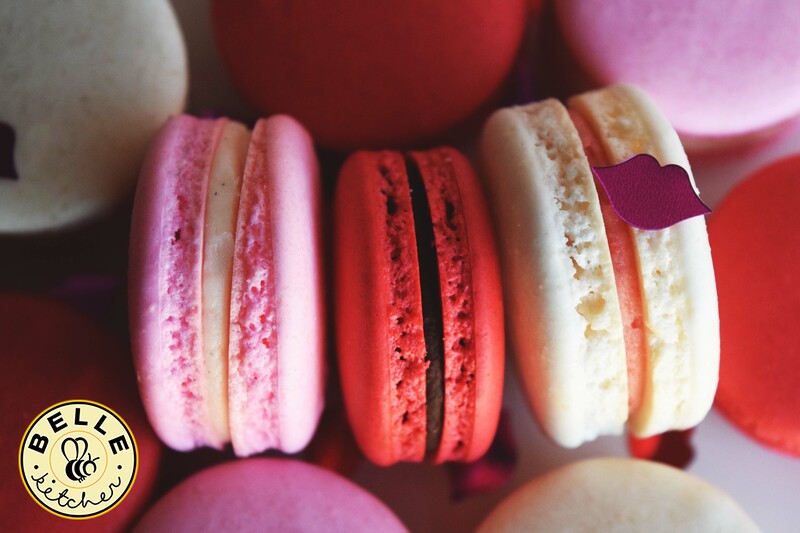 Our Macarons are made to the strictest European standards and methods by award winning Bakers and are naturally Gluten Free. 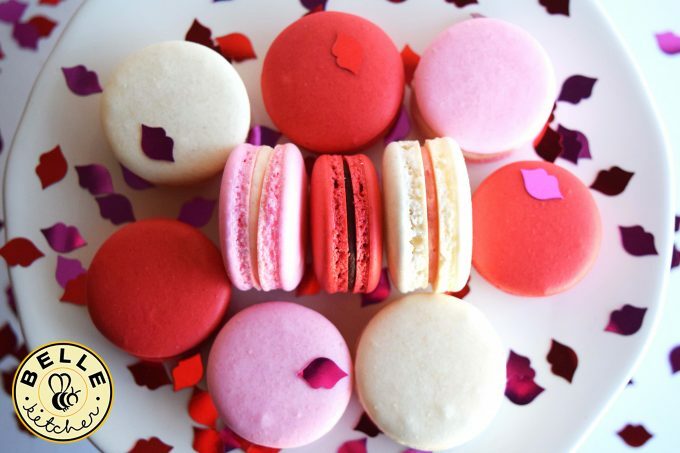 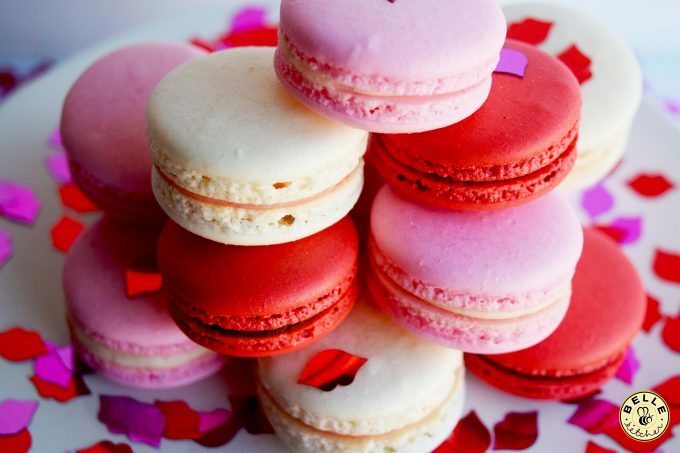 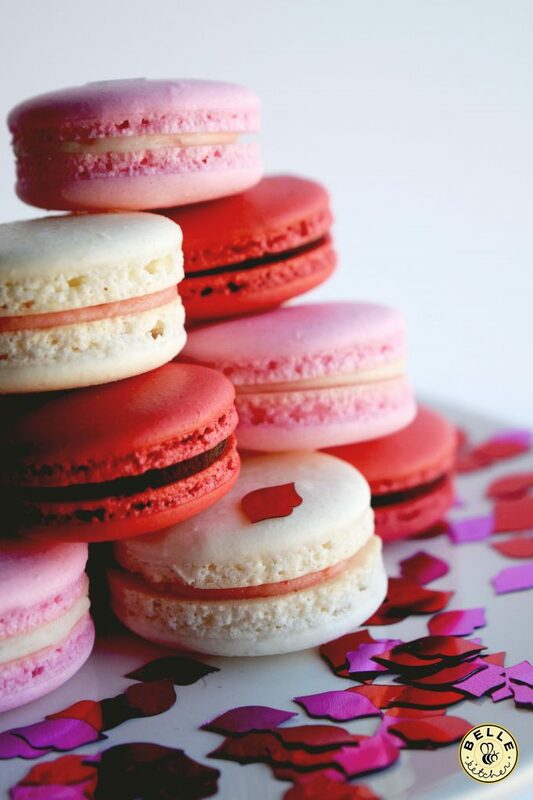 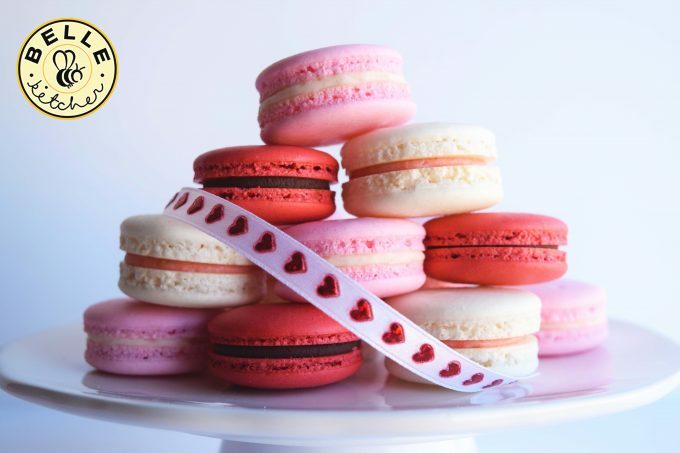 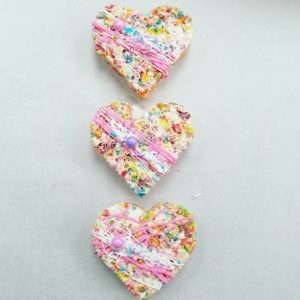 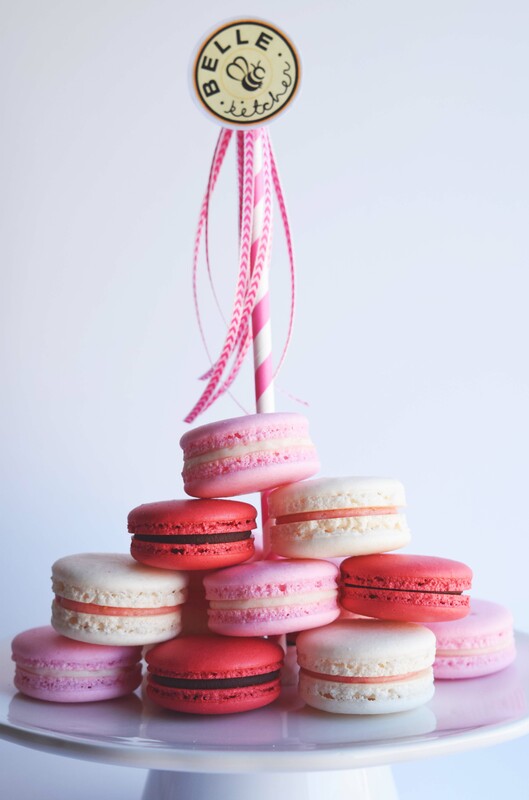 What can I do with these Gourmet Valentine’s Day French Macarons? Our Macarons are produced in a working bakery and while the Macarons are not produced with gluten the bakery environment is not. We use wheat flour and other products that have gluten on a regular basis. These Macarons can be SHIPPED or PICKED-UP at our Stores.